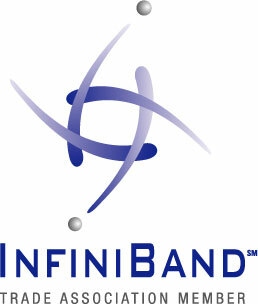 The Obsidian Team — the world's leading innovators of InfiniBand™ Technologies for more than a decade. See Archives for additional articles, white papers, exhibit materials and more, or contact us for more information. The People's Republic of China’s National Supercomputing Centre in Jinan (NSCCJN) has entered into a collaborative agreement with Obsidian to develop very high capacity optical links between Jinan, Qingdao, Wuxi and other sites in and near Shandong province, creating the basis for regional supercomputing network in preparation for Exascale machines - see the full press release here. Secure, globally distributed and multi-subnet InfiniBand fabrics are here! Watch this three-minute video by Obsidianʼs Dr. David Southwell where he explains how Obsidian’s unique technologies enabled the Global InfiniBand Fabric at the Supercomputing 2015 and 2016 Conferences in Austin, TX and Salt Lake City, UT. With the advent of high speed internet (100 Gbps) - the first transatlantic link of this kind, ANA100, was installed last year and five or six more are expected before the end of 2014 - it just may be that some of the main computing data centers around the world can finally be directly connected. The goal: to aggregate their power and form a worldwide supercomputer of virtually limitless power. This, in any case, is the initiative that the Singapore Government's Agency for Science Technology and Research (A*STAR) group and Obsidian Strategics revealed to a select group of analysts during ISC14. See the full article here.